Click the button below to add the Facial Lotion #Natural Facial Lotion# to your wish list. Let this luxurious lotion illuminate your face with a charming glow. Nutritively rich in vitamins and antioxidants that nourish and instantly hydrate skin, leaving it smooth, healthier looking and more supple. This ultra-light and smooth facial lotion melts into the skin to restore softness and smoothness. Our Facial Lotion lightly moisturizes and soothes sensitive skin with vitamins, nutrients, and antioxidants. Blended with rich Kukui Nut and Sea Buckthorn Oils, this facial lotion goes deep beneath the skin's surface to lock in moisture and start rejuvenating for healthier skin that radiates. This face lotion is made fresh in the USA. Borage Oil has anti-inflammatory properties that revitalize skin. 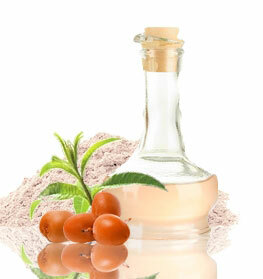 Evening Primrose and Pomegranate oils are vitamin rich, long-lasting moisturizers. • Apply this moisturizer in the morning or at night. • Gently pat into the skin. • Can be combined with other serums, lotions, and sunscreens. Aloe Barbadensis (Aloe Vera Hydrosol), Borago Officinalis (Borage) Oil, Oenothera Prunus (Evening Primrose) Oil, Amygdalus Biennis (Almond) Oil, Vaccinium Macrocarpon (Cranberry Seed) Oil, Aleurites Moluccana (Kukui Nut) Oil, Butyrospermum Parkii, Shea (Butter), Punica Granatum (Pomegranate) Oil, Simmondsia Chinensis (Jojoba) Oil, Helianthus Annuus (Sunflower Seed) Wax, (Cupuacu) Butter, Vegetable Cetyl Alcohol, Glyceryl Stearate SE, Sodium Lauroyl Lactylate, Citrus Aurantium Dulcis (Orange) Peel Wax, Daucus Carota Sativa (Carrot) Seed Oil, Caprylyl Glycol, Glycerin, Helichrysum Gymnocephalum (Helichrysum) Oil, Citrus Sinensis (Orange) Peel Oil, Glyceryl Caprylate, Cymbopogon Schoenanthus (Lemongrass) Oil, Pelargonium Graveolens (Geranium) Oil, Hippophae Rhamnoides (Sea Buckthorn) Oil. I have sensitive dry excema prone skin & this facial lotion has brought radiance, elasticity and a natural glow to my skin, I don't usually wear makeup on a day to day basis but I recently had an event to go to & it's great underneath makeup as well. I also love how this lotion leaves my face nice a soft. It has also minimized the redness in my cheeks from the excema that I suffered during the winter months, and I just recently bought this lotion a month ago and no other lotion has ever improved my skin this fast in such a short period of time. Super amazing, just absolutely loving this product. I'm so glad I bought it! I was drawn to this because it has no alcohols, emulsifiers or other artificial chemicals - it is 100% oils, extracts and aloe vera juice. A little bit goes a long way! It soaks into my skin completely and leaves no residue - just a soft face. I like to mix in some argan oil for an extra-moisturizing kick. Most incredible and natural lotion. Everyone notice the positive change of the skin it creates. I received this as a sample last year with a previous order. Absolutely fell in LOVE with it! My skin is very dry and flaky and this lotion goes on very light and it absorbs very nice! A little goes a very long way too.ABsolutely love this stuff! I’ve used the anti aging lotion for the last year and thought I’d give this one a try. This one is just as good if not better! The small lines I have on my face are gone! And my skin is so smooth and soft! I love this lotion and for the price it’s soooo worth it! A lot of product in the bottle too. You can’t find this quality anywhere else!!!! I use JustNutritive's toner, serum, and then this. I absolutely love it. It has helped my dry face tremendously this winter. My face is the softest it's ever been. Use this, you won't regret it! I've been using this moisturizer for a week now so I can't speak to long term results but I can speak to how soft and moisturized my face feels in this past week. It's winter time now and I was worried about dry spots but my face looks great! I'm excited to see my results long term. I bought this because of the ingredient list. When I received the bottle it was filled to the rim. This should last a good while. I ordered some hair products and received a small sample of the facial lotion. At the time, my skin was so dry so I was ready to try something new. I've used very expensive brands and have still be left with super dry skin in the winter time. Within 3 days of using the facial lotion, my skin was so hydrated! I was so excited because I had tried numerous moisturizers with no luck and was tired of spending money and getting no results. It only takes a small amount, so it will last a really long time. As I began to run low on the sample, I placed an order for it. I'm so happy I found something that actually hydrates my skin and without a heavy feeling. I love the smell. It is kind of lemony. I will continue to order this as it really does work great! I paired this with the face and body cleanser. I do experience some dry spots on my face. The part I love is that it's very lightweight on the skin and is not greasy or sticky. I found my new face lotion! I use this lotion everyday and I love it! I apply a good amount of it to my face after I wash with the Sensitive Facial Clear Soap. My face is most definitely more hydrated and softer without the heaviness that I have experienced with other lotions. The scent is really nice. My skin has a more even tone and using these two products has made a world of difference for my skin and how I feel about myself. I will be recommending this lotion to people and will continue to use it for years to come! The best of ingredients...a wonderful scent and a lotion that soaks right in and feels great. I have rosacea and this have calmed my redness like nothing else! And a little goes a very long way...ehat more could I ask for? So smooth and nourishing. I love this facial lotion it feels great, not greasy or sticky. It smells good too. I've used very good facial lotions in the past. They were usually quite expensive. After reading the ingredients in this Just Nutritive facial lotion, and having had years of good experiences with their products, I decided to try this. It is a wonderful facial lotion. 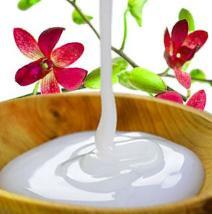 It hydrates and moisturizes without a greasy look.